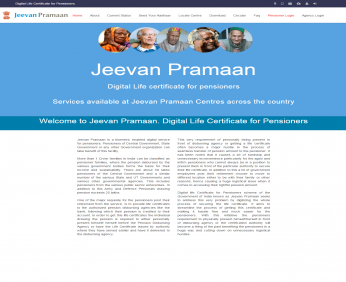 Digital life Certificate for Pensioners scheme of the Government of India known as Jeevan Pramaan seeks to address this very problem by digitizing the whole process of securing the life certificate. It aims to streamline the process of getting this certificate and making it hassle free and much easier for the pensioners. With this initiative the pensioners requirement to physically present himself/herself in front of disbursing agency or the certification authority will become a thing of the past benefiting the pensioners in a huge way and cutting down on unnecessary logistical hurdles.